Early signs of renovations at the NAC. The first signs of renovations at the National Arts Centre can now be seen. It’s the beginning of an exciting journey that will culminate with the grand opening of a new NAC on Canada Day 2017. As with any major renovation project of this magnitude, it won’t always be easy. That’s why we will keep our audiences informed on the latest developments throughout the construction period. It’s important to note that work will take place outside performance hours on weekdays between midnight and 2 p.m., allowing evening shows to go ahead as planned. Demolition has begun inside the NAC in the second floor kitchen area off the Fountain Room where a new bank of washrooms will be built. The area between the Theatre lobby and the reception desk in the main foyer, including the coat check, is also being renovated. Our builder, PCL Constructors, will also be reinforcing columns on the P2 and P3 garage levels that will eventually support the elevator structure in the new northwest atrium facing Confederation Square. Hoarding will be installed around the aforementioned construction areas and in the next few weeks on Elgin Street and on the northeastern side of the terrace overlooking Confederation Square. 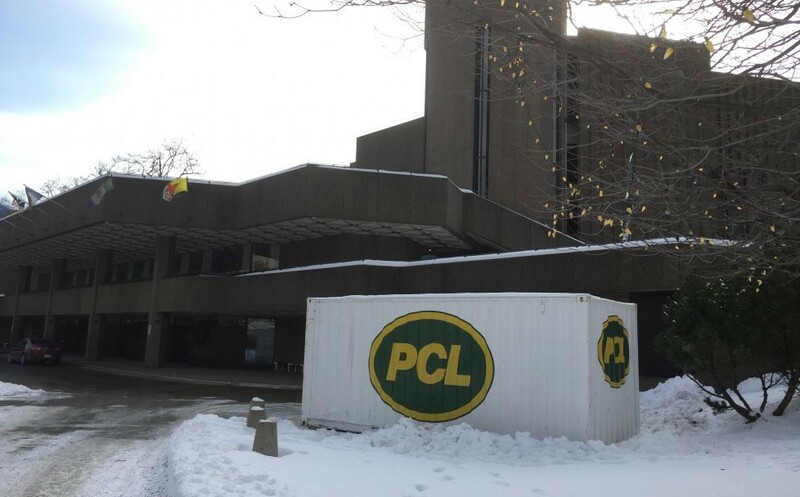 PCL will also begin to remove concrete tiles on the north terrace later this Winter. Although there will be 50 fewer parking spots in the NAC garage due to renovations, monthly pass-holders and NAC staff should not be affected during daytime hours. However, NAC subscribers and other ticket holders may experience delays when coming to see shows on nights when all stages are busy. We will ask our patrons to arrive early on those evenings through our various communications channels. You can also visit our Plan your visit page for alternate parking options. The NAC will provide timely, regular updates to its patrons and the public as renovations ramp up. For more information visit our Frequently Asked Questions page or follow the NAC on Facebook and Twitter. NAC subscribers, patrons and parking customers will also receive regular email updates informing them of upcoming project milestones and potential disruptions. Sign up to receive renovation updates. Finally, you can also send any comments, questions or concerns to NAC2017CNA@nac-cna.ca. We will monitor the email daily and make sure that we respond very quickly.